– 300mm long x 60mm wide approx. The Egg & Grape External Leaf is used for external corners on ceilings and can be painted in any colour you desire. 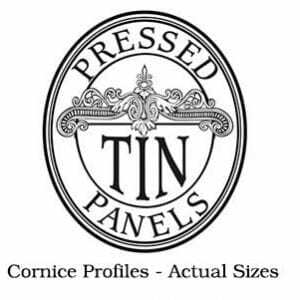 Pressed Tin Panels® leaves are used to cover mitred corners, to add a finishing touch to the design of the cornice and are able to be trimmed and moulded to suit any install. 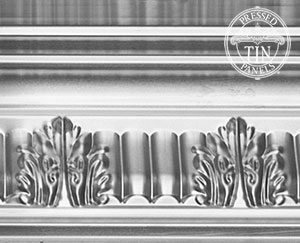 The Egg & Grape External Leaf is created to match the Egg & Grape Cornice design, for more information on this design, please click here.